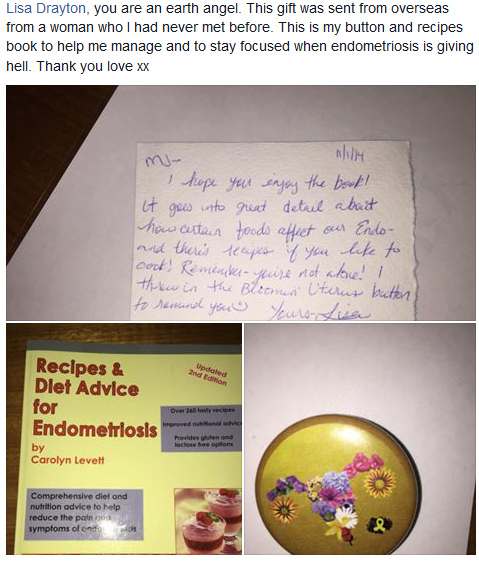 Below are images fellow EndoSisters and our friends and family have sent showing their support for Endometriosis Awareness by wearing their Bloomin’ Uterus buttons! Thank you SO much, you guys! Together, we can beat this! 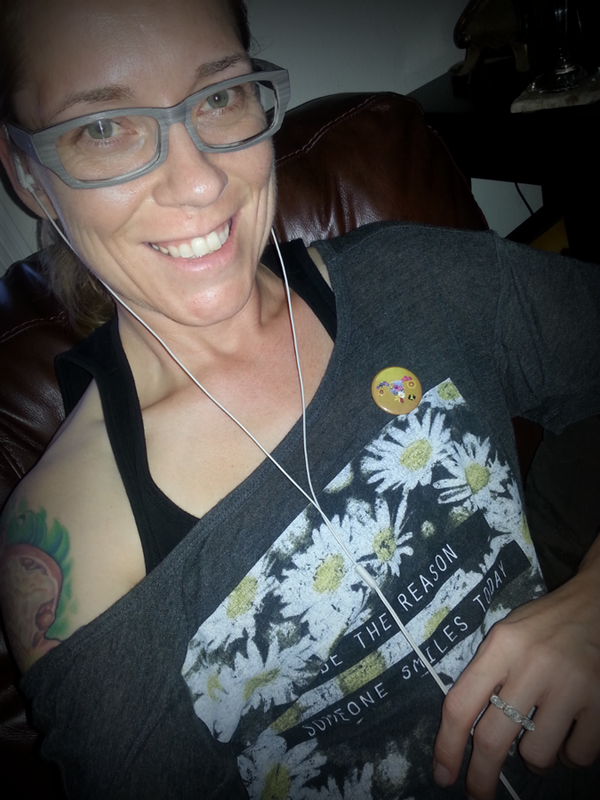 If you have your Bloomin’ Uterus button and would like to submit picture, please drop me an email with a note and the picture at lisa@bloominuterus.com! Don’t have one and want one? 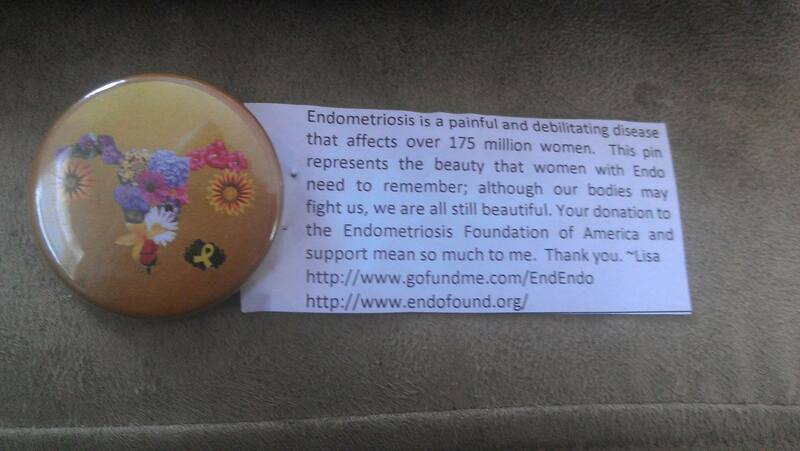 Donate $2 at www.gofundme.com/EndEndo and I’ll send you one! 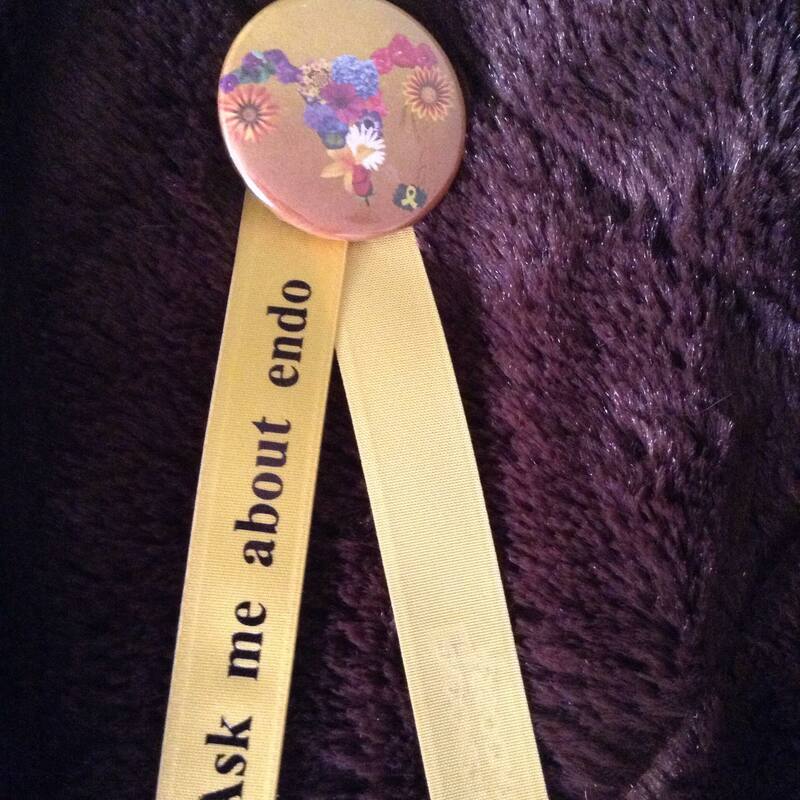 My friend Pamela got creative with her button and Endometriosis Association yellow ribbon for her Facebook Profile Picture! Thanks, Pamela! 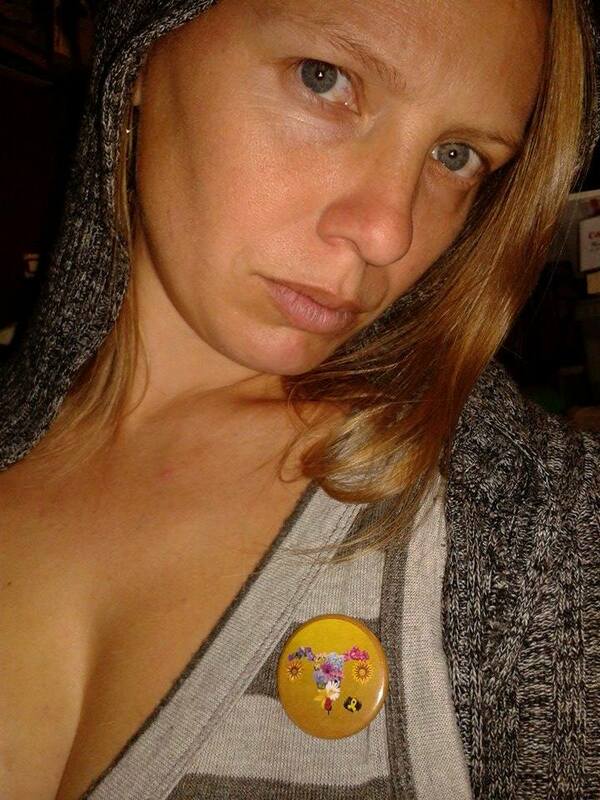 My friend, and fellow EndoSister, Tonia proudly wears her Bloomin’ Uterus button! 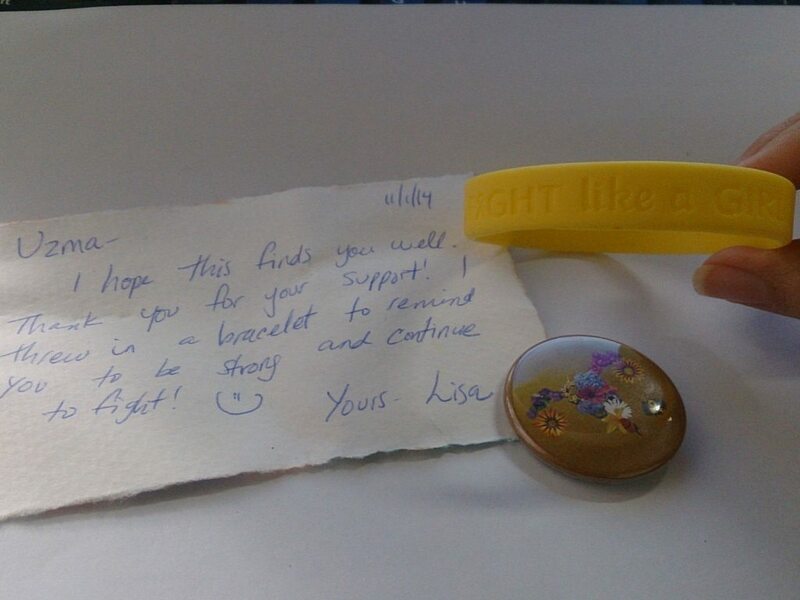 Spreadin’ beauty and awareness! OH YEAH! 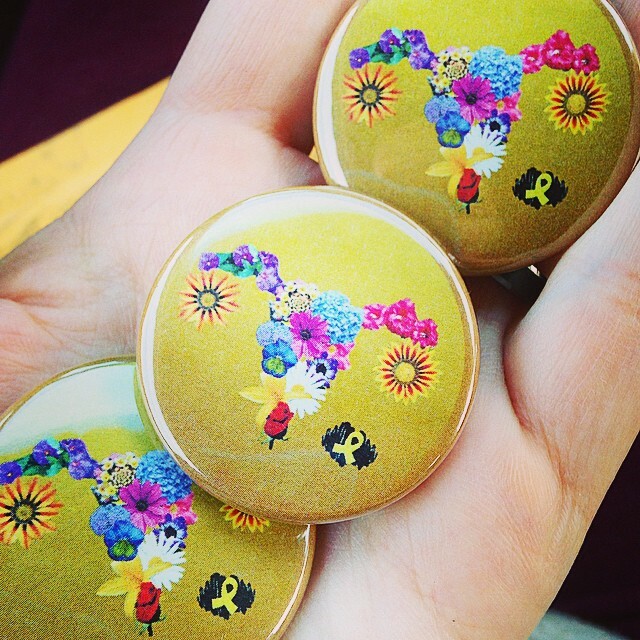 Lauren bought 40 buttons! Forty! 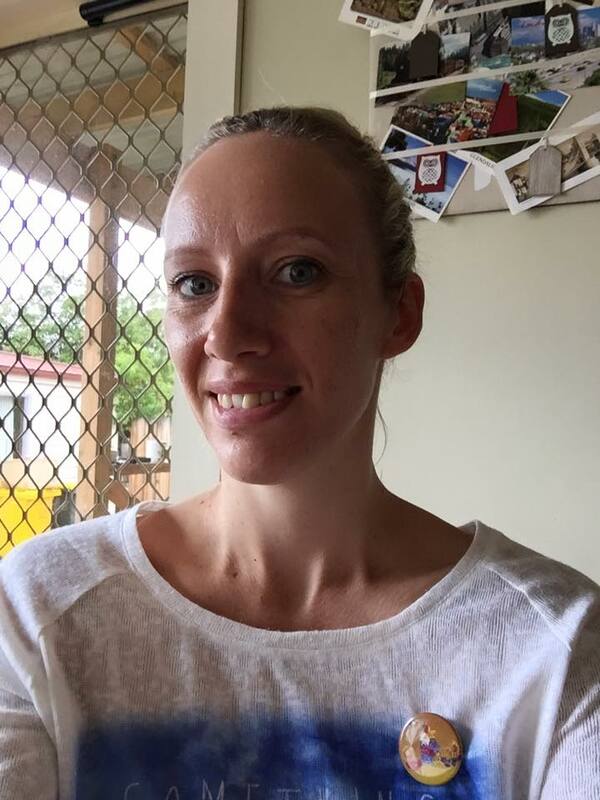 Not only does she plan on using them during her Endometriosis Awareness March, she also plans on creating her own fundraiser or the Endometriosis Research Center! Thank you, Lauren! For everything!! 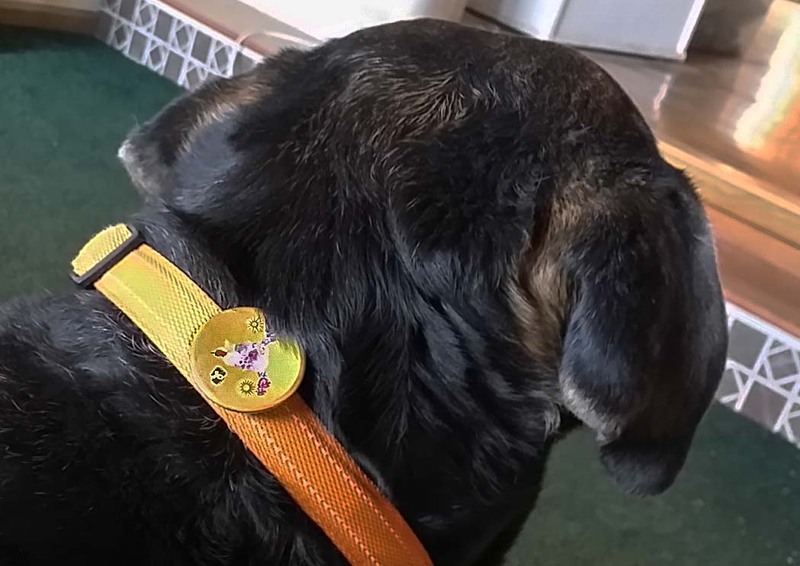 My best friend and Seester, Rosie, wearing her button and her support. I love you, dear woman. So much. 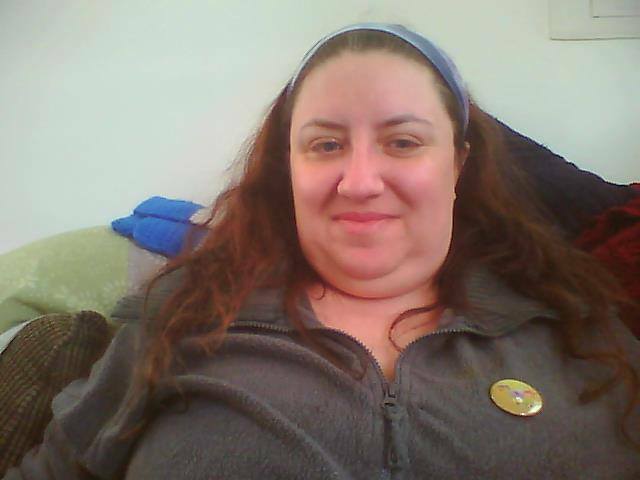 Yours truly (Lisa) wearin’ my Bloomin’ Uterus button casually on a Sunday, chillin’ around the house.